JAKARTA, Indonesia, June ­­­5, 2018 /PRNewswire/ -- KinerjaPay Corp., (OTCQB: KPAY), a digital payment and e-commerce platform, ("KinerjaPay" or the "Company"), announced today the launch of its KPOP Store, a concept outlet shop to increase user experience of KinerjaPay. With this new development, KinerjaPay aims to engage more with users, particularly the unbanked population, through in-person interaction with customer services such as electronic transaction, bill payment and top-up services. As FinTech start-ups and e-commerce are evolving to compete with new technological deployment, KinerjaPay strikes a balance between high innovation and direct approach to user experience. However, KinerjaPay realizes that majority of people in Indonesia still depending on cash-base transactions. According to KPMG's report on Retail Payment in Indonesia, Indonesia is the second largest cash-based economy in the world. Although only 36% of Indonesian's have bank accounts, the adoption of non-cash payments is still around 10%, which means around 150 million people are still unbanked or having limited access to formal banking system, such as credit card, money transfer, and e-payment. Deddy Oktomeo, CEO of PT. 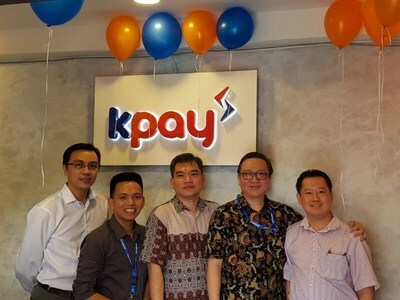 Kinerja Pay Indonesia, subsidiary of KinerjaPay Corp., commented on the launch, "The reasons for non-participation in formal banking are obvious, the lack of trust and knowledge in technology. Our customer services team in KPOP Store will be available in person to educate users how to adopt digital technologies into daily financial activities. It includes demo of KinerjaPay's digital platform to deliver more knowledges on financial services to consumers, including electronic money application process, and bill payment." Edwin Witarsa Ng, CEO of KinerjaPay Corp added, "As unbanked population accounts for nearly half of population in Indonesia, KinerjaPay sees this as a new great potential for the business. We plan to open at least 10 more similar concept stores nationwide within this year. These stores will bring KinerjaPay closer to its users and drive more business transactions to the Company."